The end of the year is quickly approaching and if you are like me, you read more books than those you reviewed. In an attempt to change it, I decided to create this challenge where all you have to do is write and share reviews. From December 13th to December 24th, I'll be hosting Twelve Days of Reviews (if there is something alike out there, I apologize in advance). 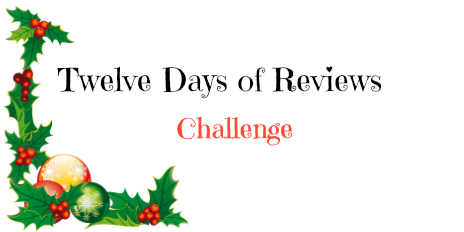 Inspired by the song Twelve Days of Christmas, to participate you have to publish a review (on blogger, wordspress, goodreads, Instagram... wherever you usually share your reviews) per day for twelve days, catching up with all those missed opinions. The more reviews you write the better are your chances of winning, because there's going to be a giveaway. The winner will be chosen on December 25th and will get a book of her/his choice up to 15 euros. Who wants to join me for Twelve Days of Reviews? You can share your sign up post and reviews on the comments section. Rules to enter the giveaway: You must be a participant (add the link to your sign-up post). You must be older than 18 or have your parents permission. Open internationally, so long as The Book Depository ships to you. Also, the reviews must be published between the 13th and the 24th (I'll be checking the dates).